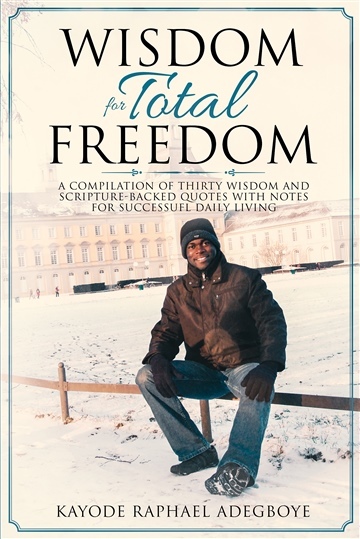 Wisdom for Total Freedom is a compilation of thirty scripturally-backed wisdom quotes with supporting notes and comments, aimed at enhancing successful daily living for all its readers. Kayode Raphael Adegboye is a child of God raised to be a voice to the nations. Raphael, as he is fondly called, is a writer, a leader, a strategist, a husband, a father and more importantly a lover of God and the things that pertain to the kingdom of God. Raphael has written several published articles on faith-based, business and social issues, but Wisdom for Total Freedom is his first published book. Raphael currently lives in Canada with his family.